“Our new mobile-friendly customer portal is a big part of our digital transformation and an important step to becoming a modern, connected business. Built around the needs of our customers, the solution developed and delivered by MMT Digital is personalised and fully accessible. 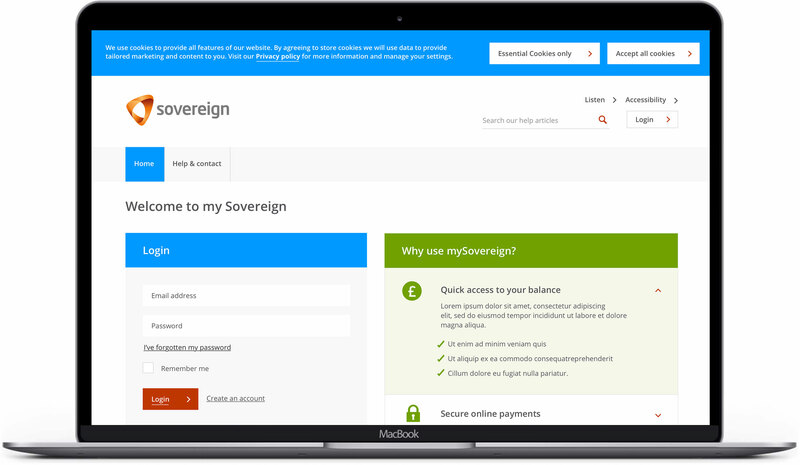 The successful working partnership between Sovereign and MMT has been the key to the success of the project and we look forward to continuing to work together." Develop a scalable portal with a refreshed customer experience and the technical infrastructure to effectively manage large amounts of complex data. Delivered a refreshed customer experience that has achieved AA standard accessibility.